Love Wolverhampton meet in various capacities each month. We’d love for you to connect with any of them. Please get in touch to find out more information. 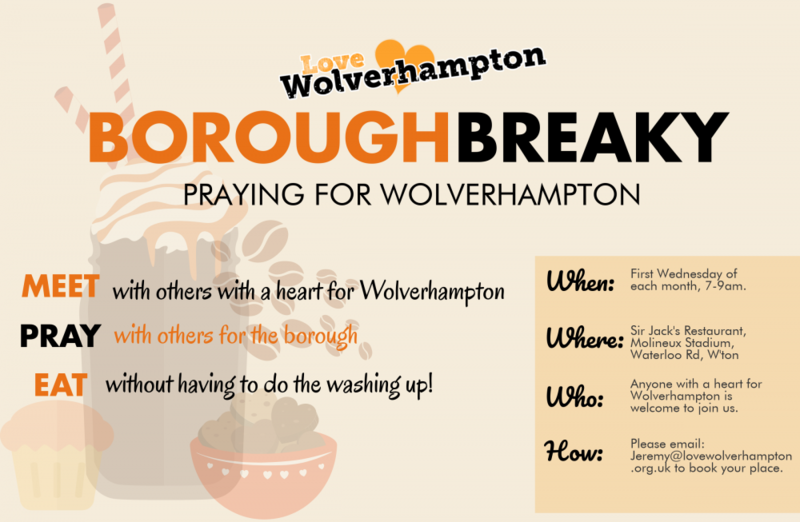 We’d love to help you work with others to see the city of Wolverhampton transformed. On the first Wednesday of every month for a borough wide prayer breakfast. We currently meet in Sir Jack’s Restaurant at Molineux Stadium from 7-9am. Check out the infographic below for more details about the breakfast event. Please email jeremy@lovewolverhampton.org.uk to book in. We believe passionately in partnership. Rather than running our own Leaders Network, Love Wolverhampton works in partnership with Connect, Wolverhampton’s long-running Church Leaders network. Please email Ian Poole, our Core Team member for Wolverhampton, for more information about how you can be supported by the Connect Leaders group - woodchipper@btinternet.com. Wolverhampton have a new Borough Hub group for anyone involved in children’s ministry. It is a great chance to meet others with similar roles and responsibilities and usually involves coffee and cake! This group is a safe space to share any questions or ideas and is a fantastic opportunity to find out what others are doing in the local area and share resources. The group meet every few months and would love others to join them! Please contact deb@loveblackcountry.org.uk to find out how you can get involved. Wolverhampton also have a youth focused group called Relentless. This group of youth workers meets on the last Friday of every month and their focus is to build relationships and to pray for the next generation. They also have a prayer focus on the last Thursday of the month. 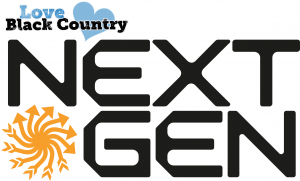 Their focus currently is on the story of Nehemiah and they are started to discuss how they reach this next generation together. They are planning some joint events in the summer and have a vision to impact their community through schools work too. Anyone would be welcome to join them for any of these events. Please contact deb@loveblackcountry.org.uk to find out how you can get involved.